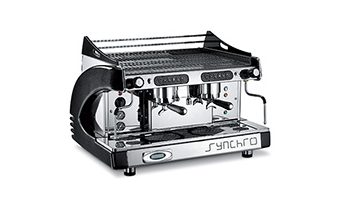 One-group espresso machine, semi-automatic model manual lever operated, with 1 to 2 cup simultaneous delivery capability. Thermal heat exchanger per group guarantees a perfect cup of coffee blend or working condition. 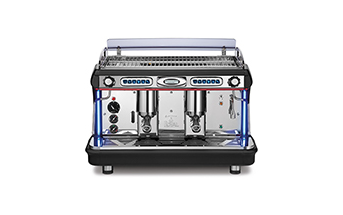 Heat-balancing units with pre-infusion for optimal espresso extraction. The generously sized cup warmer is removable for easy access to the extractable water tank that has a capacity of 3 litres (0,8 US gal). 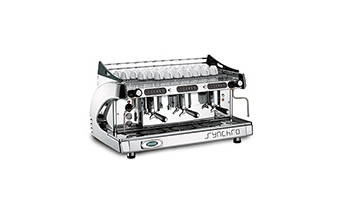 Two-group fully automatic electronic espresso machine with 1 to 4 cup simultaneous delivery capability with “Light Illumination”. Available also with deep trip tray, little grid sliding and little spout to accommodate cups from 3,15" to 6,30" inches high. Coffee delivery independently controlled by a microprocessor system that allows user to program dosage level. 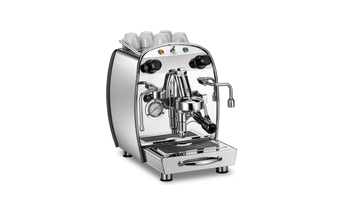 Two-group fully automatic electronic espresso machine with 1 to 4 cup simultaneous delivery capability. 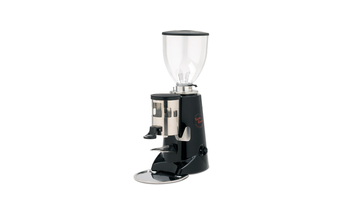 Available also with deep trip tray, little grid sliding and little spout to accommodate cups from 3,15” to 5,90”. 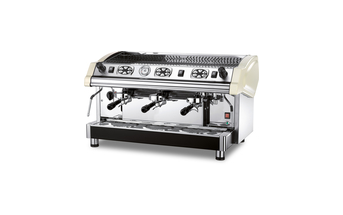 Three-group fully automatic electronic espresso machine with 1 to 6 cup simultaneous delivery capability. 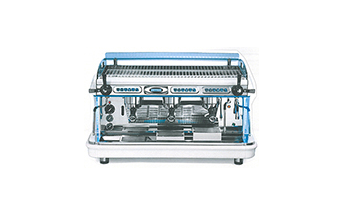 Two-group fully automatic electronic espresso machine with 1 to 6 cup simultaneous delivery capability. 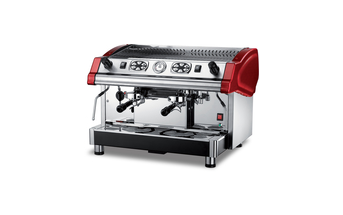 Three-group fully automatic electronic espresso machine with 1 to 6 cup simultaneous delivery capability with “Light Illumination”. ·Progressive Electronic Start System engine starts intelligently. ·Electronic Brake System which stops the engine immediately. ·Speed Control System keeps the maximum speed regardless of fruit and vegetables. ·The most efficient: A juice in just 5 seconds, higher yield and with the least amount of fruits. ·Very silent. Less than 70 dB. ·Control with “stand-by” LED and two gear selector. ·Wide fruit inlet (75 mm / 3”). ·Very functional and easy to use. ·Intuitive “Touch Control” digital display. ·Total and partial fruit counter. 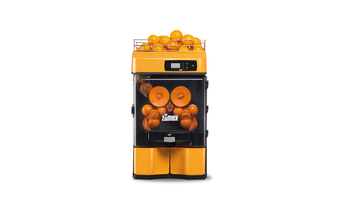 ·Self-service mode: by pressing the tap, machine squeezes citrus juice into a glass or jar in a matter of seconds. 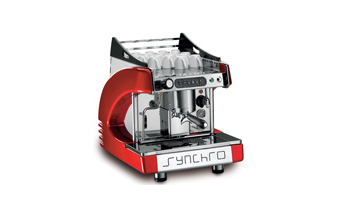 ·Autostart mode: the juicer starts automatically squeezing when you introduce the fruits in the chute. Locking the knob will activate the tap for continuous operation. 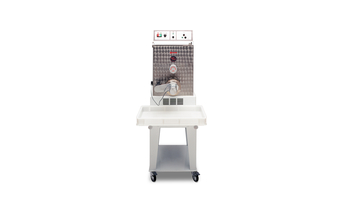 ·Self Service anti-drip tap with lock for use in continuous operation. Equipped with 5-liter (1.32 gal.) transparent tank for freshly squeezed juice. It includes a waste bin that increases its waste capacity and autonomy. Speed Tank Podium is available in Standard and Digital models. 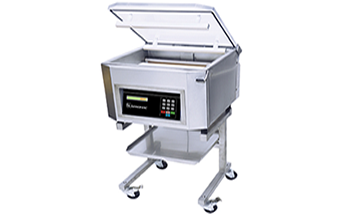 Digital model allows you to program the desired number of fruits to be squeezed and a fruit counter. With its design, size and its twelve available colors, it fits perfectly in any location and is ideal for small bars and cafes that are committed to excellence. Minex provides maximum performance in minimum space in an elegant and integrated way. Its design blends seamlessly into your business aesthetics. In only 5 seconds you will enjoy a fresh squeezed glass of juice. ·Functional and easy to use. 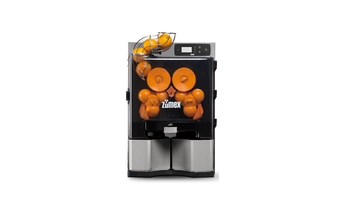 ·Self-service mode: by pressing the tap, machine squeezes citrus juice ·into a glass orjar in a matter of seconds. 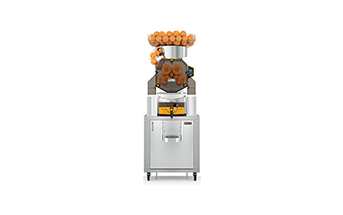 ·Professional mode: program and squeeze the desired number of fruits to be squeezed. Locking the knob will activate the tap for continuous operation. 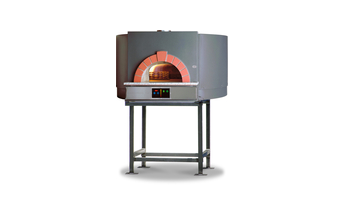 ·Oven walls average 7" in thickness with completely sealed wall enclosures. ·Removable cooking surface slabs for easy service and maintenance. ·External granite slab work surface. 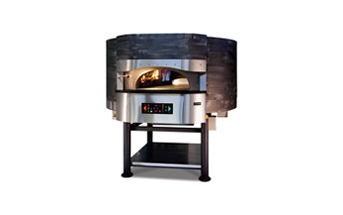 ·Vent cavity opens to 7” diameter flue outlet on front top of oven. 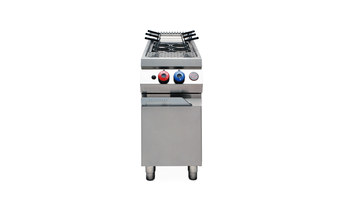 ·Single Chamber Gas Pasta Cooker in 18/10 stainless steel. ·304 and 316 series stainless steel construction. 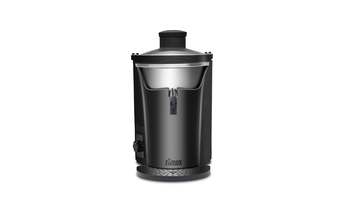 ·12 gallon water capacity per tank chamber. ·Triple fiberglass insulation on all sides. ·Seamless stainless steel baskets with specially designed perforated holes. 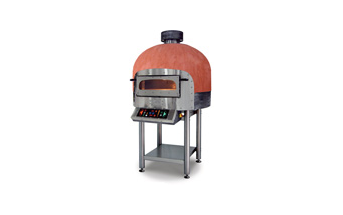 ·Specially designed burner creates a water current flow lifting and carrying starch out. ·Automatic On/Off safety switch mechanism. ·Top mount water faucet for continuous clean water flow. 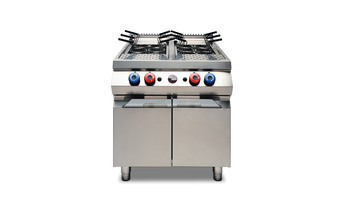 ·Double Chamber Gas Pasta Cooker in 18/10 stainless steel. 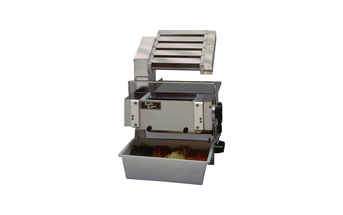 ·Electric pasta maker for production of various shapes of pasta. 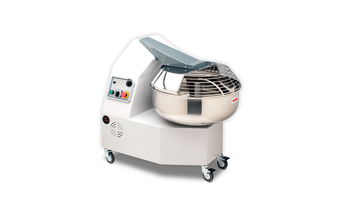 ·Production Capacity from 8~10 lbs per hour. ·35 pounds output capacity per hour. 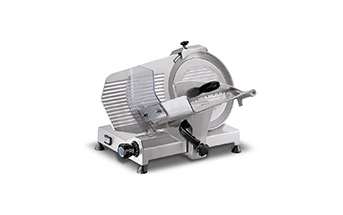 ·Adjustable speed electric knife cutter. ·44 pounds output capacity per hour. 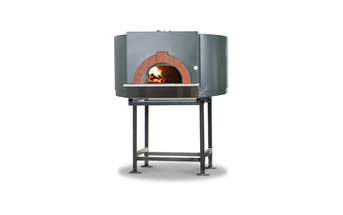 ·Heavy duty construction and stainless steel finish. 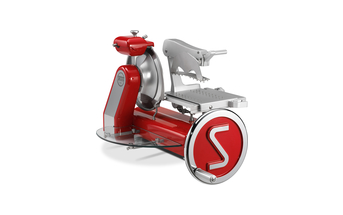 ·Electric pasta maker for small production. ·23 pounds output capacity per hour. ·Mobile rolling cart. ·lnterchangeable die molds. ·65 pounds output capacity per hour. 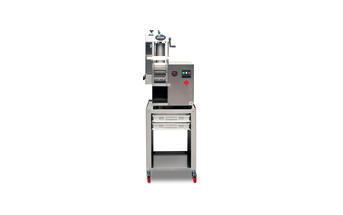 Commercial ravioli maker in stainless steel to be used in conjunction with the ·TR75/ TR95/ TR11O series pasta machine. 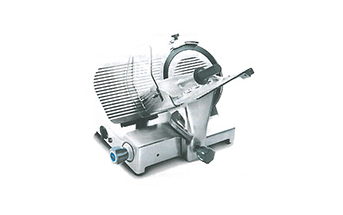 ·Self adjusting blocking arm with stainless steel removable product pusher. 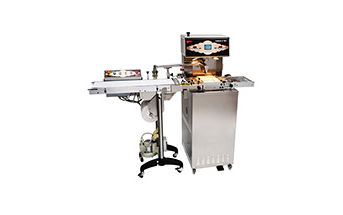 ·The exceptional cutting capacity allows you to slice product without precutting. ·The sharpener assembly is made entirely from aluminum, no plastic that may break with heavy use is utilized. 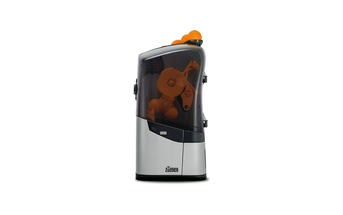 ·The carriage and the sharpener are quickly removable without tools. ·Inner blade cover ensures a perfectly aligned cut. No waste when cutting same product at different times. 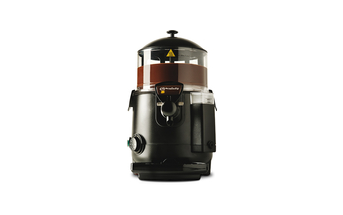 GBG hot chocolate machines have been designed to heat and mix any kind of drink(tea, coffee, milk, mulled wine,etc.) and chocolate in a special way that ensures its smoothness and thickness. 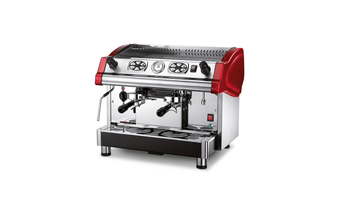 The machines prepare the hot chocolate simply and effortlessly using the professional "bain-marie" method, making for an excellent result and saving time into the bargain. 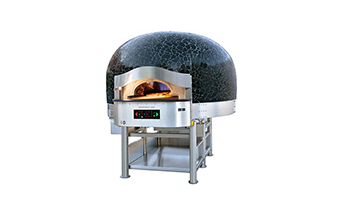 ·Thermic selfbalancing - Automatic control system to operate the temperature in accordance with the quantity of product inside the machine. 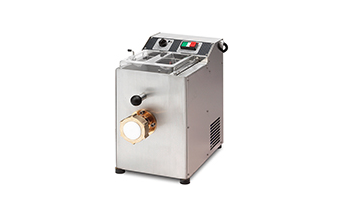 ·Sheet resistance heating system - The patented sheet resistance heating system allows for precise chocolate temperature control avoiding an unpleasant exit from the tempering. ·Display & Keyboard - The display is easy to read, featuring simple and intuitive digital commands including advice on the video of the operations to execute. ·Cocoa Butter Program - This program allows to easily change the type/colour of chocolate avoiding any difficult manual operations. 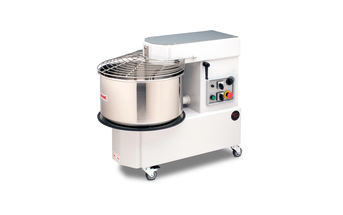 ·Commercial electric fork dough mixer. 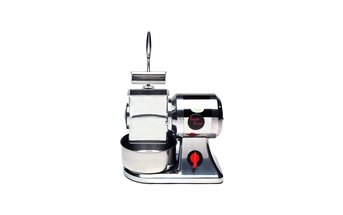 ·Forked kneading with stainless steel spiral fork. ·Rotating parts on ball bearings. 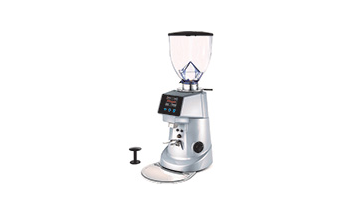 ·Commercial electric spiral dough mixer. ·Geared motor chain drive system.